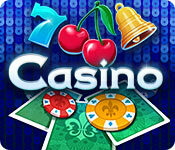 Blackjack‚ Texas Hold′em Poker‚ Video Poker‚ Roulette‚ Slots‚ and Word Ace in a gorgeous‚ social package! Play‚ compete‚ show off‚ and make friends! Card & Board Games Enjoy familiar Card Game and Board Game favorites like solitaire, bingo, poker, and dominos. A new collection of puzzles featuring our beautiful Earth! Dive into an era of beauty!